"Keck showed us that this thing was worth looking at with Hubble,” Jewitt said. 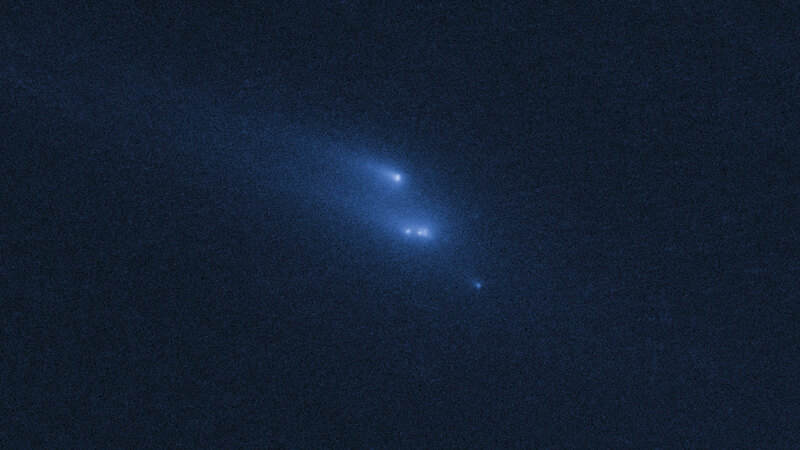 With its superior resolution, the space-based Hubble observations soon showed that there were really ten distinct objects, each with comet-like dust tails. The four largest rocky fragments are up to 200 metres in radius, about twice the length of a football pitch. The Hubble data showed that the fragments are drifting away from each other at a leisurely 1.5 kilometres per hour — slower than the speed of a strolling human. The asteroid began coming apart early last year, but the latest images show that pieces continue to emerge. This leaves a scenario in which the asteroid is disintegrating due to a subtle effect of sunlight that causes the rotation rate to slowly increase over time. Eventually, its component pieces gently pull apart due to centrifugal force. 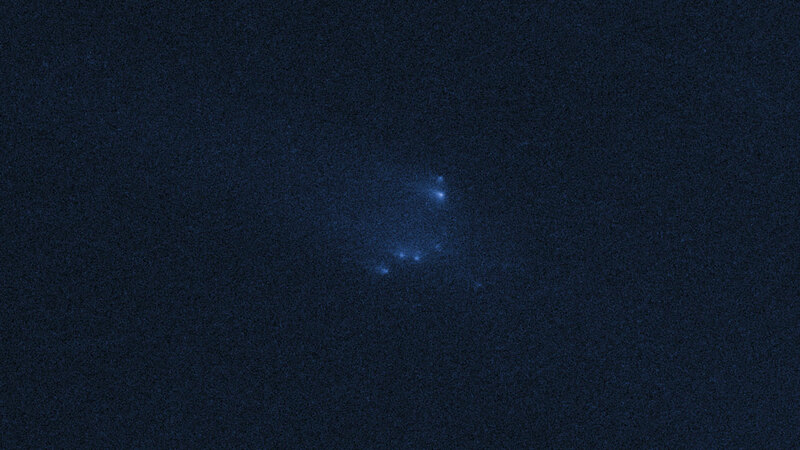 The possibility of disruption by this phenomenon — known as the YORP effect  — has been discussed by scientists for several years but, so far, never reliably observed (eso1405). For break-up to occur, P/2013 R3 must have a weak, fractured interior, probably the result of numerous ancient and non-destructive collisions with other asteroids. Most small asteroids are thought to have been severely damaged in this way, giving them a "rubble pile” internal structure. P/2013 R3 itself is probably the product of collisional shattering of a bigger body some time in the last billion years. The results will be published in a paper entitled "Disintegrating Asteroid P/2013 R3”, to appear in the Astrophysical Journal Letters on 6 March 2014.